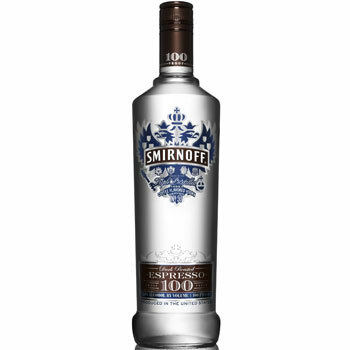 Smirnoff hopes to grow the UK’s £116 million flavoured vodka market with the UK launch of its Espresso Smirnoff. Karen O’Shea, marketing manager for Smirnoff Western Europe at Diageo, said: “There is a significant opportunity to grow flavoured vodka sales in the UK, as we can learn from the US where flavoured vodka accounts for 18% of the total vodka category. “In the UK, flavoured vodka is worth £88m in the on-trade and £28m in the off-trade and the launch of Smirnoff Espresso is set to attract a wider audience into the segment by offering new and existing Smirnoff consumers an inventive twist on their usual spirit and mixer combination. Espresso Smirnoff is a blend of Smirnoff Red with the natural flavour of espresso coffee, which is extracted from real coffee beans. Smirnoff recommends that the espresso vodka is served with cola and ice. I think flavored vodkas like Ciroc and Pinnacle have started a small revolution in regards to what people drink. So I am not surprised Smirnoff is trying to expend as much as possible in this market segment. I am writing vodka reviews on my blog korsvodka.com for the last few years and I’ll try the new Smirnoff flavor for sure. I’ll let you know once I review it. Thanks! Can i request for the grapes to be flavored on it. Vodka complete my nightlife when i’m in the bar, you will love to dance while holding it on your hands,yeah!